OBDII Function for all OBDII cars, not only Landrover and Jaguar! 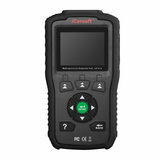 iCarsoft LR V1.0 OBDII Function supports most of the OBDII/EOBD test modes including CAN, ISO9141, KWP2000, J1850 VPW and J1850 PWM. 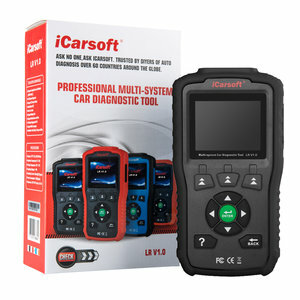 iCarsoft LR V1.0 OBDII Function works on most of 2001 and later European OBDII compliant PETROL vehicles and most of 2004 and later European OBDII compliant DIESEL vehicles. iCarsoft LR V1.0 reads and clears trouble codes on most of the electronic systems such as engine, transmission, ABS, airbag etc. Applies to most of the Landrover and Jaguar models which equipped with OBDII-16 DLC. For service functions such as Electronic Parking Brake (EPB), Battery Management System (BMS), Diesel Particulate Filter (DPF), Electronic Throttle Control system (ETC) and Steering Angle Sensor (SAS) you can use iCarsoft LR V2.0.